There have been some incredible solo efforts, blistering strikes, as well as deft finishes. Here we have the enviable task of looking at his ten of his best for Liverpool in the League. There can be very little argument about this one. With the scores tied at 1-1 in stoppage time, Salah netted arguably his best goal in a red shirt. Gaining possession on the right flank amidst a handball shout, Salah carried on – seating Ben Davies before dancing past Jan Vertonghen. Still with plenty to do, Salah left Eric Dier flat-footed in Messi-esque fashion before poking the ball past a sprawling Hugo Lloris. Salah’s 50th goal is incredibly unlucky not to be the best of the lot, particularly given the personal pressure, the weight of 29 years on his shoulders and so many critics ready to pounce. Yet none of it affected Mo, as he willed Liverpool to a 3-1 win just a week ago. Liverpool broke from the Saints corner with Salah getting the ball in his own-half. With Ryan Bertrand backtracking, he drove right at him before giving a customary shimmy and bending the ball into the far corner. The run and finish in its own right was world-class but given the circumstances this could be Salah’s most important goal for the club. Mo Salah’s opener against Everton won the Puskas award – deemed the world’s best goal of last season by fans around the world. The Egyptian opened the scoring in the Merseyside Derby with some style. With his back to goal Salah received the ball at his feet and brushed Cuco Martina to the floor with brute force. Not done there he stepped around Idrissa Gueye and from the right-hand side, curled an unstoppable strike into the top corner, past the helpless Jordan Pickford. 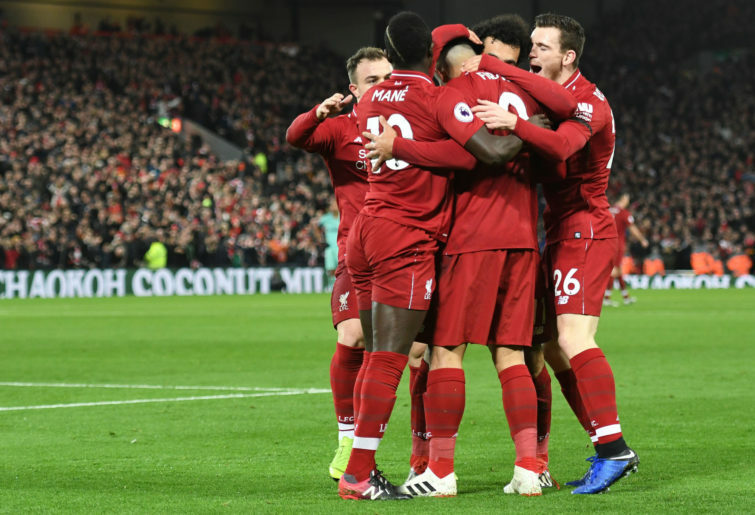 In Liverpool’s first game following the sale of Phillipe Coutinho to Barcelona, the Reds faced an unbeaten City side under the Anfield floodlights. After being pegged back to 1-1, Liverpool produced a blistering eight-minute spell capped of by Salah’s incredible lob. Ederson rushed out of his goal to clear away from an onrushing Mane before his misguided clearance landed at the feet of Liverpool’s No.11. Taking the ball under his spell with a magical touch, Salah – from no less than 40 yards- guided a lobbed effort into the Anfield Road net. To finish from that far out, with such limited time was just superb. A terribly difficult technique was made to look easy by the Egyptian king. It’s hard to quantify whether one moment of incredible brilliance outweighs several magnificent pieces of skill. As such, Salah’s hat-trick goal against Watford could arguably be higher. It had everything you want in a goal. Patience. Creativity. Invention. And best of all – an end product. Salah received the ball inside the box with seemingly very few options. Surrounded by four Watford defenders, Mo shifted the ball to his right as the defenders moved accordingly. Just like a mirror, as he shifted back to his left they did so too. Salah led them all on a merry dance, finding space somehow to poke the ball home as he fell. An unsuspecting Ben Foster was bamboozled and flopped to the floor in sheer disbelief. There’s no wonder Salah was being compared to Messi at stages last season. Had he been put in the Nou Camp Barca fans wouldn’t have known too different. 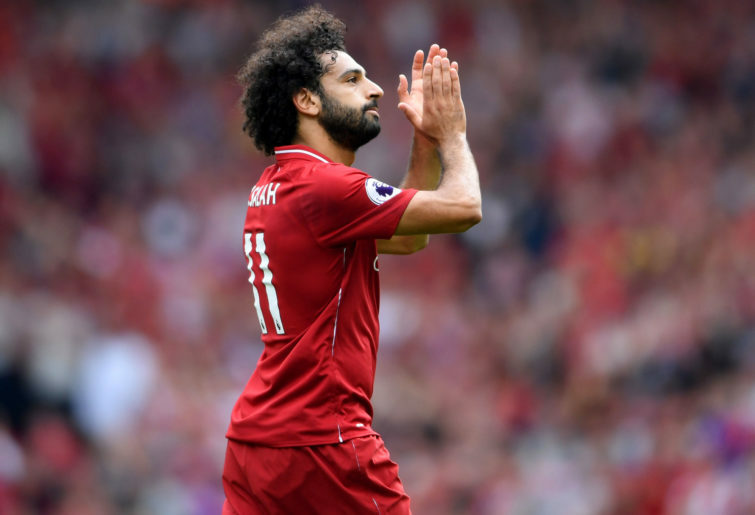 At home to Watford in March, Salah ended up going home with the match ball and a four-goal tally – the most in his professional career. The goal rush started in spectacular fashion as Salah found himself one-on-one with Miguel Britos on the right flank. Here, Salah performed his customary shuffle feigning inside before going back outside. Spectacularly, the change of direction and speed put the defender on his backside. Watford officials went in search of a sniper in the ground thereafter. Sebastian Prodl was also fooled in the process as Salah found enough space to beat Foster with his unfavoured right foot. It was an ankle-breaker that James Harden or Liverpool stakeholder LeBron James would be proud of. The Egyptian king topped off a brilliant afternoon for Liverpool as they went top of the table in the early stages of the 17-18 season. As the ball came to Salah outside the box – via a lateral Gini Wijnaldum pass – he was given the freedom of the River Mersey. Able to take a touch and get it out of his feet, Salah curled a blistering effort straight past the sprawling Fraser Forster. The unbelievable precision of the strike wasn’t lost on the Anfield faithful, who rose to a standing ovation. After continual criticism that Salah was not the same player as last season, Liverpool’s talisman responded in fine fashion with a hat-trick at the Vitality Stadium. His final goal was simply magical – a return to the best we’ve seen of Mohamed Salah. An ambitious punt forward by Adam Lallana left poor Steve Cook in a footrace with the Egyptian. Predictably, Mo reached it first and then rounded the oncoming Asmir Begovic. With the goal gaping, Liverpool’s top scorer waited and made Begovic bite on a feigned shot. Before scoring, he toyed with a nervous Nathan Ake on the line. As he ran at Ake, Salah bent the ball beyond him thanks to a cheeky finish with the outside of the left foot. It was another simply beautiful, Messi-esque goal. And yet a further reminder to the critics who doubted the record-breaking striker. Salah celebrated his 30th goal in the League and 40th in all competitions with an incredible header to further embarrass Cherries keeper Asmir Begovic. After a typically brilliant cross from Trent Alexander-Arnold, Salah headed from 15 yards out, catching an unaware Begovic off his line. The Egyptian sensationally lobbed the keeper, using the power from Alexander-Arnold’s cross before lifting it into the left corner, in front of the Kop. There may be fiercer strikes or fancier solo goals out there, but the sheer genius to see the keeper off his line and execute from distance was sensational. It was a simply magical finish from a player at the peak of his powers. Speaking of ferocious strikes. You’ll see few better than the volley from Mohamed Salah at the Bet365 Stadium. The Egyptian gave Liverpool a two-goal cushion with an unstoppable rocket which almost burst Grant Holt’s net. A perfectly-timed cross from Sadio Mane allowed Salah to screw the ball across his body. As soon as the ball left his boot you knew it was in. Grant Holt struggled to react, wildly flapping his arms in hope. Like most who are one-on-one with Salah, he stood no chance.